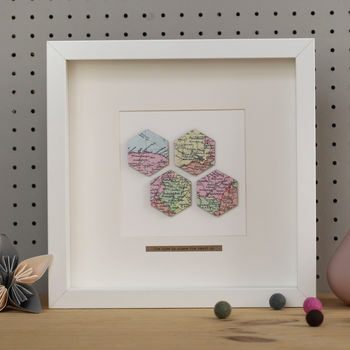 A beautiful personalised map picture with four small hexagons of your chosen locations and an optional message beaneath. These beautiful pictures are handmade using our collection of vintage maps (please see note below) to show your chosen locations. 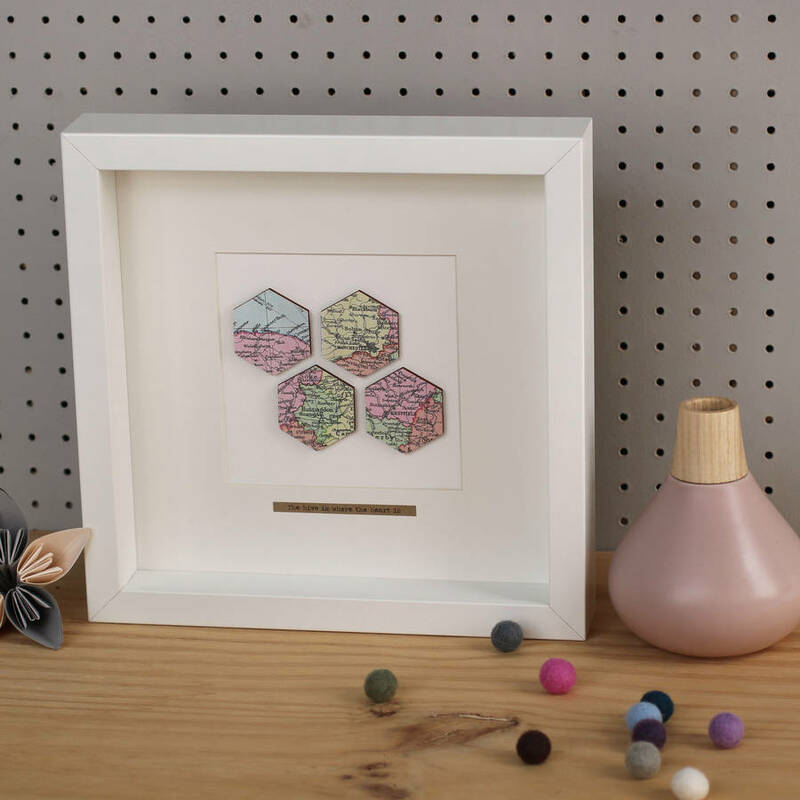 The picture has four small tessellating hexagons on thin wood, making them stand out in the box frame. It is personalised with your choices of locations and a message at the bottom if required. The frames come in a choice of black or white.